Several years ago, a consulting engineer from the City of Opelousas, Louisiana attended an industry conference, where he happened to run into a representative from Southeastern Tank. As the two got to talking, the engineer mentioned the City’s potable water and fire protection elevated tank replacement project and our SET rep began asking questions. The rest, as they say, is history. “Our Only Option” – Or Is It? Originally, the engineer had sought an elevated tank for the City. Ground storage is typically the most cost-effective strategy for potable water storage and delivery. 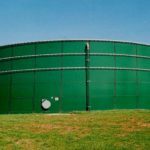 However, pressure requirements, space constraints and other factors can sometimes lead engineers and others to believe ground storage isn’t an available option, limiting their searches to elevated tanks. 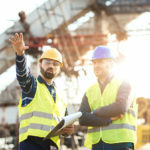 They were prepared to erect an elevated tank – which would have been their most expensive solution option both at installation and in long-term maintenance costs – simply because they didn’t have an expert to help them understand all of the options and considerations. Southeastern Tank‘s goal was to help this engineer, and the City of Opelousas, find the best possible solution for their new potable water and fire protection tank. These initial conversations were focused on asking questions about the city, their priorities, maintenance budgets, and physical space restrictions. This impromptu strategy session at the conference led to Southeastern Tank conducting a formal lifecycle analysis between elevated storage tanks and Aquastore tanks; with Aquastore glass-fused-to-steel coming out the winner. 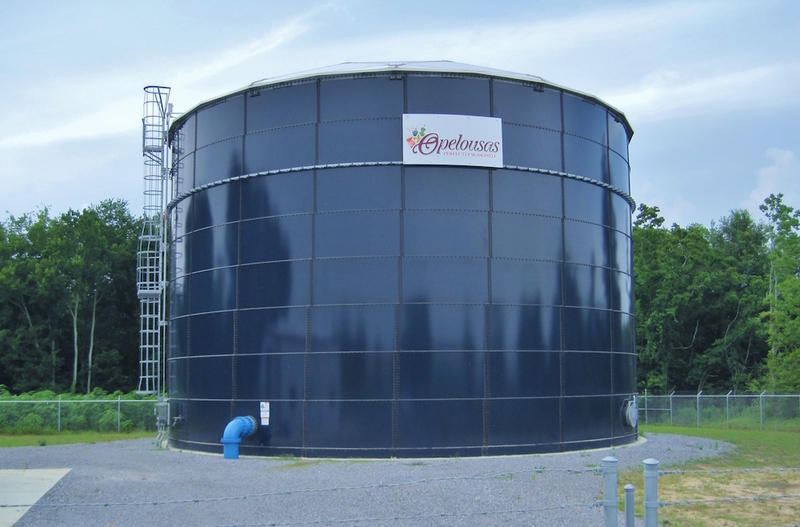 In the end, instead of installing a 750,000 gallon elevated tank, the City of Opelousas chose an Aquastore tank with a Total Dynamic Storage package that optimizes water flow and helps municipalities meet changing daily water system demands while providing constant pressure. The system is expandable and will grow as the City grows – making it the right solution today and tomorrow. Now, many buyers believe that all tanks have the same lifespan, and therefore opt for the tank with the cheapest upfront installation costs. 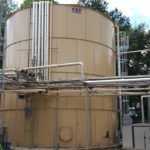 Many of those tanks are cost-effective to install, but require a significant amount maintenance over the years and need to be replaced more often, increasing the total cost of ownership. Because this tank is extremely low-maintenance and never needs to be repainted, the total cost of ownership over the lifetime of the tank is greatly reduced. With a limited budget, the overall cost of this tank was actually a better match for the City of Opelousas than the less-expensive-to-install alternatives. 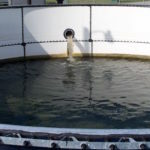 The City of Opelousas discovered what many municipalities and utilities discover: Aquastore tanks can outperform traditional elevated tank systems with the right strategic approach. These glass-fused-to-steel solutions can be installed faster than other types of tanks, have a lower total cost of ownership, and can be expanded if service demands increase. Their Total Dynamic Storage solution allows for optimized water storage and flow, faster tank turnover and better water quality overall, outperforming elevated systems.